Nitrile coated palm and fingers. 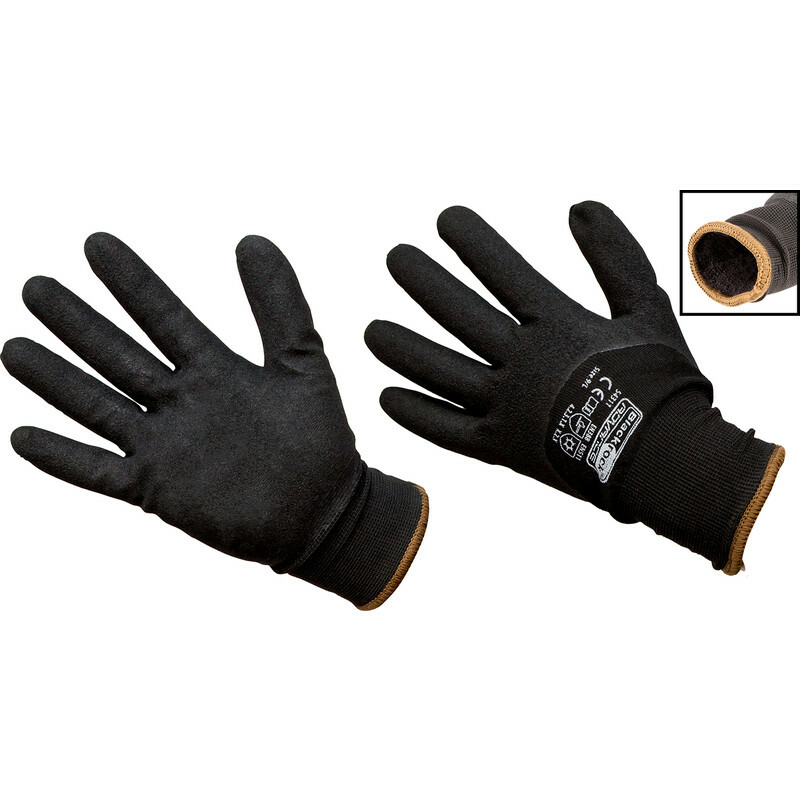 Excellent grip in wet and dry conditions combined with thermal lining for cold weather working. Conforms to EN420, EN388, EN511. Thermotite Grip Gloves Medium is rated 3.1 out of 5 by 11. Rated 2 out of 5 by Meester Chris from XL is too small for a normal man sized hands These claim to be size 10 I take surgical size 8 which is large mans hands. I can’t even get these fully on my hands, so tight I cannot get my fingers inside. Great idea, but suspect the sizes have been mislabelled at the factory, these are less than medium. Rated 4 out of 5 by Gonzo birds from Thermotite It's true what all the other reviews say yes they are good for keeping your hands warm Yes the line does pull out when you take them off which can be a nuisance Yes they are a bit on the small side for so called XL gloves..maybe it's because of the thermal lining that they come a bit tight. But as a builder working in the cold better to have tight gloves that keep your hands warm than no gloves at all. Rated 1 out of 5 by Clayton from For thermotite read thermoTIGHT Who sized these gloves? You say XL. I say the last pair of goves I had this small were connected by a string through my duffle coat arms. Rated 4 out of 5 by Anonymous from Thick and warm I purchased these after reading the reviews which were quite negative due to the sizing. As a woman with average sized hands I find the medium fit is great for me. Super robust and warm for gardening and working outside on colder days. Happy buyer. Rated 5 out of 5 by keeno from No more cold hands My son recommended these gloves to me and I have found them to be comfortable and warm for outdoor work/play and I ordered an additional pair for my wife, she also loves them. Rated 1 out of 5 by Sailor Boy from Large is Small I have small hands, but LARGE gloves will hardly go on them. Next time I am near a ToolStation outlet, I will be returning 2 pairs!